Kroger shoppers, its your LUCKY week. 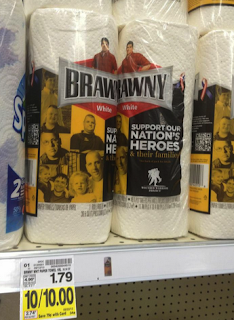 Brawny paper towels are on SALE for $1 and you too can score them for FREE! Grab the $2 off any 2 Brawny Paper Towels coupon from the June 29th Red Plum Coupon Insert and save BIG!